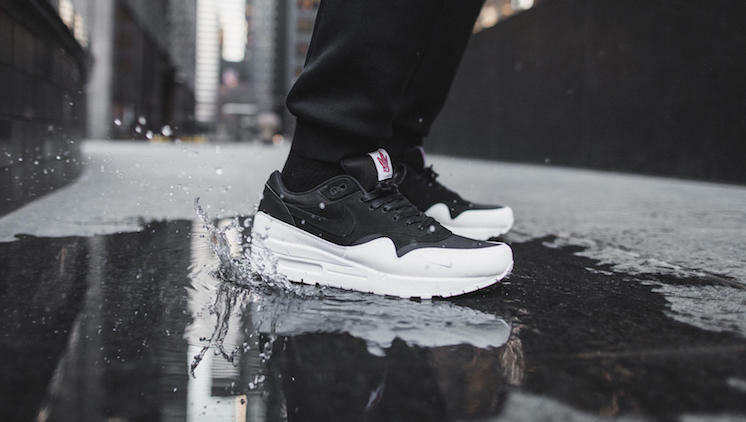 The sneaker, bearing a stark black and white contrast, pays homage to the city’s six boroughs/nickname and features the popularized nickname inside the shoe. A maple leaf on the tongue and compass pointing north on the heel continue a sense of subdued regional pride. The Air Max also offers rubberized coating on the all-white outsole and airbag to prevent cracking, as well as tough materials to brave the Toronto weather. Although they dropped exclusively in Canada first, the Air Max 1 “The 6” is set to release in the US on December 17.